Met enige trots presenteer ik mijn Land Rover Defender. 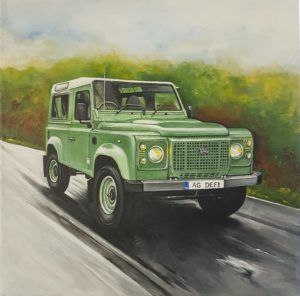 Proud to present you my painting : Land Rover Defender. Acrylic on canvas 40×40 cm. Please follow this link for a bigger picture.